A particular sense of clarity often comes to me after spending time with friends in the bright and icy Canadian North. I have always thrived on constant change and the fast pace of life in international cities. We lived in various countrysides during my childhood, and I decided early on that bustling urban centres were more my cup of tea. Despite still feeling this way, I have to admit that the slower style of rural life can be refreshing (albeit briefly... I couldn't cope with dial up internet access and outhouses in the long term). Everything is simpler- from meals to daily activities. Chopped wood is stacked outside of people's homes, and bear-like dogs stand watch at all times. After dinner events include watching the stars while huddled up around a fire, or rolling around in snow between backyard sauna sessions (yes, naked). Posted by la femme at 4:21 p.m. It all sounds like bliss to me! I love the fabric and tea!!! Living on the edge is the proper habitat for those who are alive. Living on the edge is not where one feels comfortable necessarily, or even at home, but where one feels alive. In terms of physical environment the edge is between human settlement and the wilderness, or on the other extreme, at the potency of the urban core. I'm assuming you bought those adorable little marimekko boots for splashing around in the mud in the second picture, boot-a-holic that you are. Beautiful pics! it does look so fresh and I must admit my ignorance of the area, I had no idea Ontario had mountains like that! 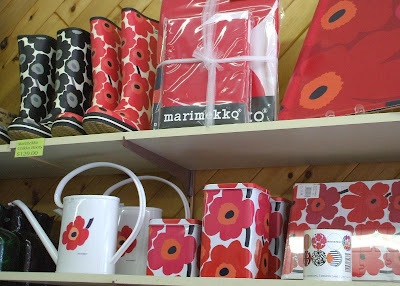 I heart all things Marimekko. My mum (and grandma) seem to shop there in bulk. 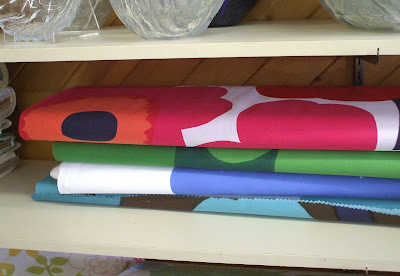 Every Xmas we know we are getting some kind of Marimekko tablecloth, placemats, bed spread or oven mitts sent from Finland. I love that you are letting more people know about Finland. Whenever I tell people about my heritage or why mum talks with such a strange accent, no one ever seems to know or care about the Finns. They should! 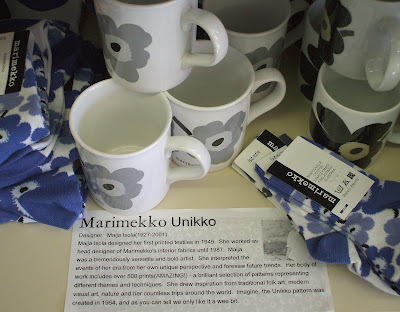 I am not familiar with Marimekko... but will be on the lookout from now on. You look cheerful and well rested. Enjoy. I have to admit, I do wish I could be a country recluse once in a while. 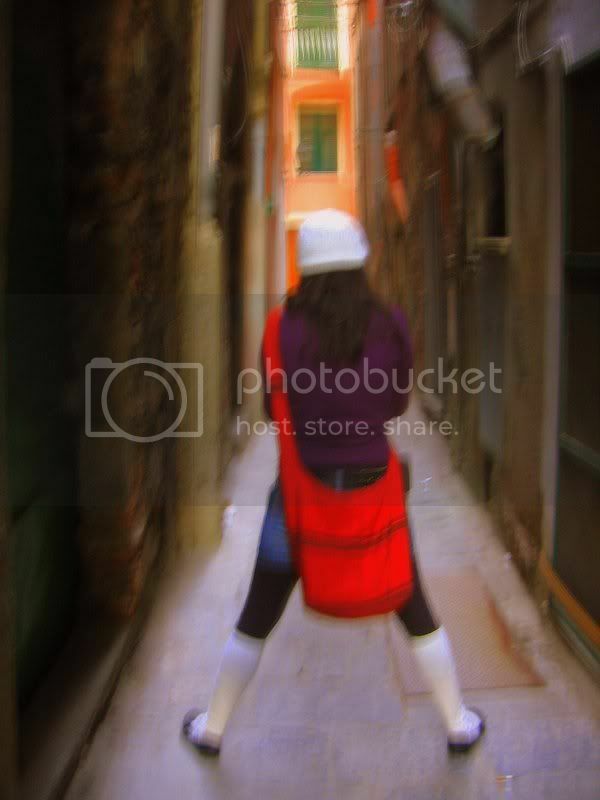 All your photos are so beautiful! Enjoy the rest of your stay. I have been lemming a Marimenko print for my walls, so this post is inching me even closer. Love your post. The photos are gorgeous. 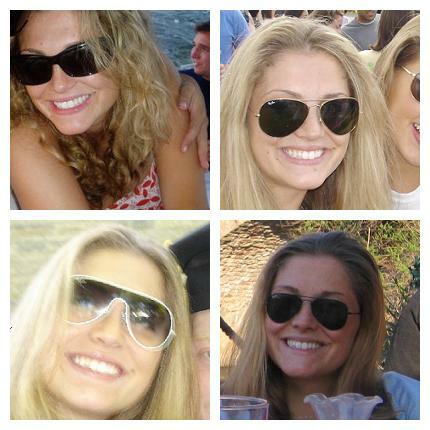 But, why do you always crop your face at it's midline?